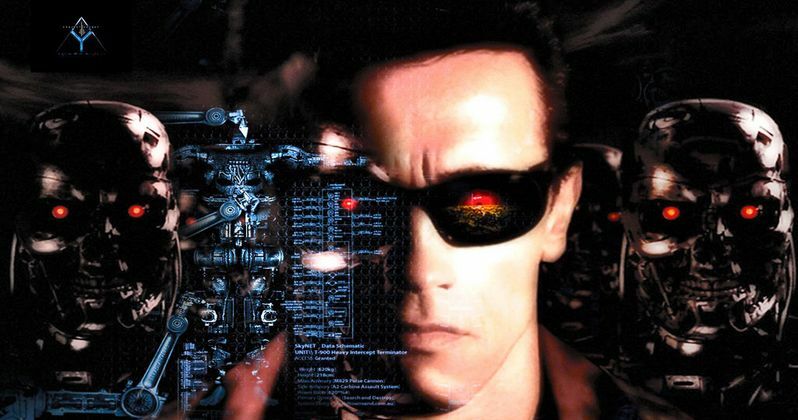 Arnold Schwarzenegger has been spotted reprising his role as an aging T-800 on the New Orleans set of the Terminator reboot, known to some as Terminator: Genesis (though the studio refuses to confirm that as the title). He is seen sporting a green khaki jacket and jeans, a departure from his black leather jacket ensemble that he wore in the second movie, but certainly reminiscent of the green jacket he yanked off a punk rocker in the original. He was spotted shooting one of the film's key action scenes alongside Emilia Clarke as Sarah Conner and Jai Courtney as Kyle Reese, both wearing blue scrubs in what appears to a psyche ward break out, an ode to Terminator 2: Judgment Day. The are seen confronting a grown-up John Connor (Jason Clarke; with his back to the camera), holding him at gunpoint. Has John become a time traveler now?